Q: Tell us about your childhood and why you became a children’s author. A: I think I was born to be one! Because as long as I can remember, I’ve been listening to the stories my family loved to tell, reading all sorts of books, drawing pictures and writing, writing, writing. My first books were written on the backs of old reports, illustrated in crayon, and stapled together by my mom. My parents, grandparents, aunts, uncles, sisters, baby brother and pets listened to my stories and poems with a lot of enthusiasm…and patience. I loved the sight and sound of words. I write for kids because I want to share that love. Q: Please share a little about your writing process. A: I write something every day: a journal entry, a stanza of a poem, paragraphs of a story…whatever I can fit into the time I have for writing each day. My first drafts are written very ‘big’ so that I have a lot of images, action and language to choose from as I revise. My writing process involves a lot of revision. Most of my picture books have been through a dozen revisions before they were ready to submit to a publisher. Q: What do you find are the unique challenges of writing for children? A: The biggest challenge in writing for young readers is to see the world from their point of view. I start by deciding how old my target reader is for each story. What about my topic would be of most interest to a child that age? What language is appropriate? And so on. Although I may draw on my own childhood memories to spark a story, I need to make sure the experiences and emotions are going to resonate with today’s kids. As with all writing, the great challenge is to come to familiar experiences in a fresh way, using vivid, specific language to describe it. Q: Do you have children read over your writing before you submit it? Q: What do you enjoy doing when you’re not writing? A: Every day, I walk our family dog and really enjoy being out in nature. I am often found in the yoga studio taking a class or teaching a class. I like to travel with my husband to other countries and learning everything about their ‘corner of the world’. Wherever I am, of course, I’ve got a book that I’m in the middle of reading. A: I always have about three projects going at one time: one in revision, one in the midst of the actual writing process, and one in the research/plotting stages. Dianne Ochiltree has been writing stories and poems since she was a little girl. Today, she is a nationally recognized author of books for girls and boys, from toddlers to teens. Her picture book, LULL-A-BYE, LITTLE ONE has been a selection for the Dollywood Fourndation’s national literacy program for several years. Her picture book for grades 1-3, MOLLY BY GOLLY! The Legend of Molly Williams, America’s First Female Firefighter, received the Florida Book Awards Bronze Medal in the Children’s Literature category in 2012. It was also selected for the ALA Amelia Bloomer list for feminist literature for young readers in that year. IT’S A FIREFLY NIGHT, her not-just-for-bedtime book for kids 3-7, was awarded the Silver Medal in children’s literature in the 2013 Florida Book Awards. 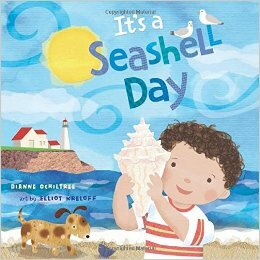 Her latest book, IT’S A SEASHELL DAY, is scheduled for a July 2015 release from Blue Apple Books and has already received favorable reviews. Her earlier books have been translated into foreign language and Braille editions as well as audio versions. For more information about Dianne and her books, go to www.dianneochiltree.com. Dianne lives in sunny Sarasota, Florida with her husband, Jim. 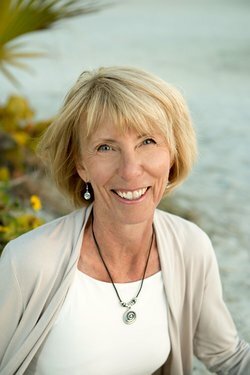 Besides writing for kids, she loves to hike in the great outdoors, explore the local bay waters on a stand-up paddle board, and is a certified yoga instructor. She and with her chocolate Lab, Sally, are a Therapy Dog team, visiting local nursing homes and schools. Thank you so much for reviewing my latest picture book and author interview on your blog! I really appreciate your kind words. What a fabulous resource you’ve created here for young readers, and grownups who love children’s literature.